Hennepin Healthcare offers pharmacy services throughout our system with convenient locations that allow you to access all of your healthcare needs in one place. Our expert pharmacy team will assist you in all of your pharmacy needs and offer additional support through Medication Therapy Management. Include a pharmacist in your comprehensive care team! At Hennepin Healthcare, we offer a service provided by qualified pharmacists designed to help you better understand your medications and reach your health goals. 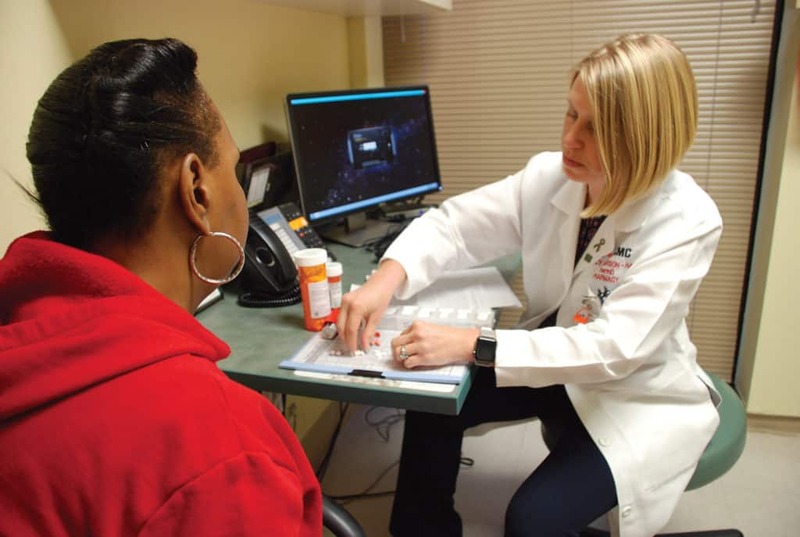 Through this service, you will meet privately with the pharmacist in a clinic setting (not at the pharmacy), where they will review all of your medications with you. Medication Therapy Management (MTM) providers work closely with your doctors and other health care providers to make sure your medicines are safe, effective, and providing the best results. Naloxone, also known as Narcan® is a life-saving medication that can be used to save the life of someone experiencing an overdose from an opioid drug. The experts at Hennepin Healthcare are involved in a number of initiatives to help patients receive the care and pain medications they need, in a safe way. One of these initiatives is to provide access for patients and their caretakers to the life-saving medication naloxone.